TPP®, the premium tissue culture brand. At Next Advance, our goal is to bring you innovative, affordable, high-quality products for the biology laboratory that offer unique features over standard devices. That is why we proudly offer selections from the TPP family of products. 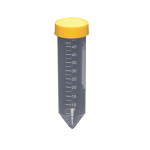 TPP is a producer of high quality plastic disposable tools for tissue culture applications. Internationally recognized for unequaled quality, TPP’s innovative designs significantly improve consistency and reproducibility in data generation. Why take chances? How can you be sure that your culture tubes or bioreactors are not affecting your cultures? TPP products are made without plasticizers, which could leach into your cultures. They are made without mold release agents or other additives commonly used in the manufacture of molded plastic parts. TPP products are, however, made of virgin plastics of highest purity and quality, that meet the requirements of Pharmacopoeia (USP) Class 6 and Class 1 medical devices per directive 93/42. Download the TPP Tissue and Cell Culture brochure. TPP TubeSpin Bioreactors are ideal for high throughput screening and optimization of suspension cell cultures. Each bioreactor cap has a built-in 0.22μm hydrophobic membrane to maintain sterility and facilitate gas exchange. 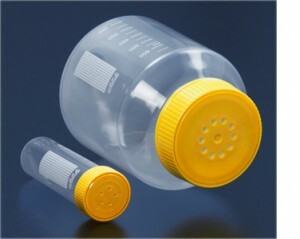 Growth conditions can be finely controlled by means of cap holes that can be selectively sealed for optimal gas transfer. 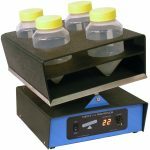 The simple design containes no internal mixing or stirring mechanism which minimizes cell shearing and foam formation, and agitation is provided by rocking or shaking in an incubator. In this manner, hundreds of cell cultivations can be performed quickly and efficiently in parallel. TubeSpin Bioreactors are also ideally suited for the culture of bacteria, yeast, and other microbiological organisms in suspension. 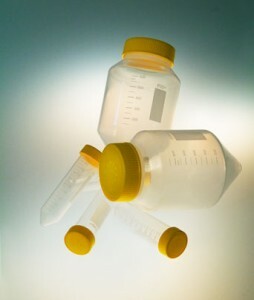 The simple, disposable format offers convenience and time-savings over traditional glass vessels such as test tubes which must be washed and autoclaved before each use. 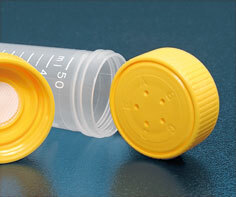 Both aerobic and anaerobic cultures can be grown by selectively covering the holes in the 0.22μm filter cap, offering the flexibility to perform mini plasmid preps, small-scale candidate screens, or other down-stream applications. Made of pure, virgin polypropylene, without plasticizers or mold release agents. ….all in the same vessel! 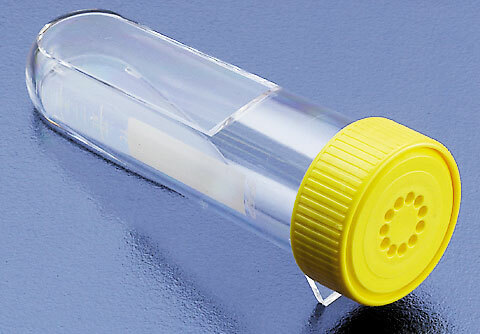 The innovative design on the 10cm2 Tissue Culture flask incorporates the features of a tissue culture flask and a 50ml conical centrifuge tube into a single multi-functional culture vessel. Integration of these functions prevents cell loss and the possibility of contamination during transfer since this step is now unnecessary. Made of pure, virgin plastic, without any plasticizers or mold release agents.